Are you planning a party or a family get-together.. How about trying something different. 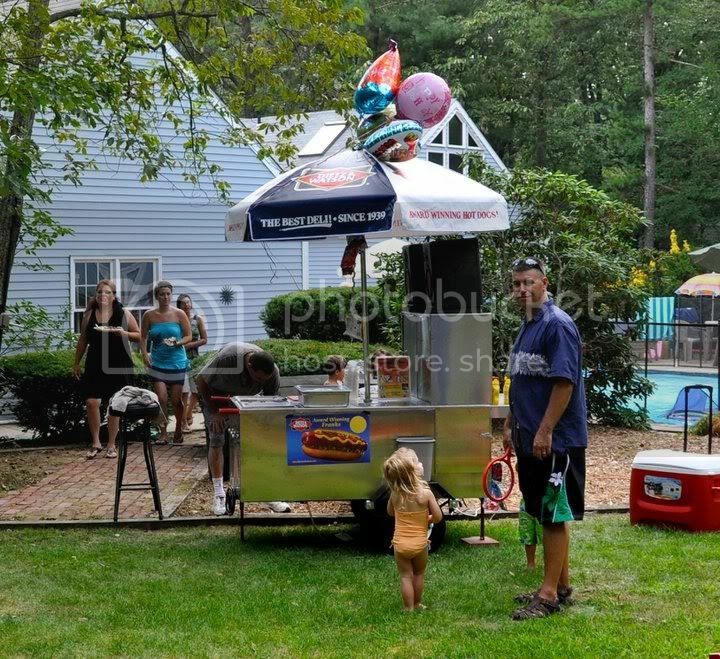 Hire us to come serve your guests delicious hot dogs with all your favorite fixings for the LOW LOW price of $225. We will come to your BIRTHDAY. ANNIVERSARY. 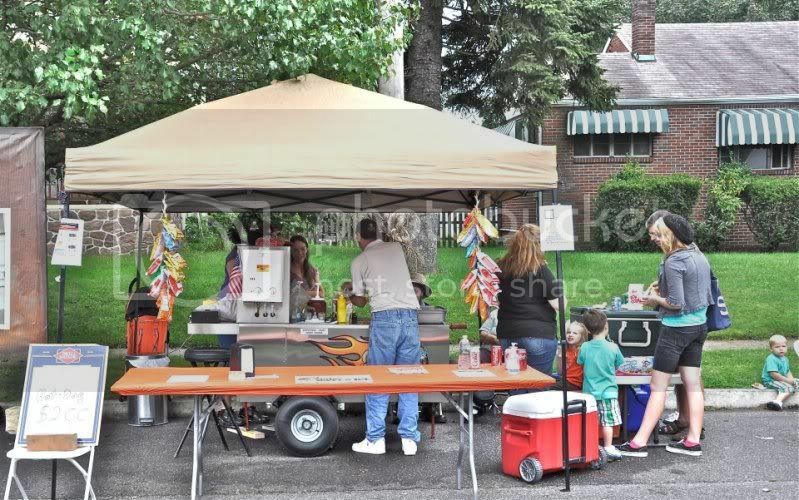 GRAND OPENING, FAMILY RE-UNION, BUSINESS PROMOTION OR ANY OTHER SPECIAL EVENT and serve up to 40 guests with delicious Dietz & Watson All Beef hot dogs, assorted chips or Philly Soft Pretzels and beverages for three hours. We also offer a variety of other foods upon request: Italian Water Ice/ Soft Pretzels/. Potato Salad/ Macaroni Salad or Coleslaw. Also, try our different State Hot Dogs. Like the Coney Island Dog, with our home made chili and cheese topping or the Georgia Dog with our homemade Coleslaw slaw and mustard. We also have a home made Sweet & Sour sauerkraut topping. You can contact us at 609-685-2715. If I do not pick up right away please leave message and I will get back to you as soon as I can. If you get an error message when you click on the highlighted email address, or if you do not recognize the email program that opens when you click that link, simply cut-and-paste the email address into a new message in your usual email application. I can also be reached at 856-546-5977. We are now able to accept Major Credit Cards by using Pay Pal. Contact us for custom estimates on larger parties or any other questions you may have. Use our contact form, e-mail or call. Content copyright . VINNYSMADDOG.COM. All rights reserved.